Hotel Coffee Valley Coorg is easily accessible from Madikeri Bus Stand. 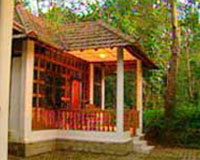 Hotel Coffee Valley Coorg, a plantation bungalow, is built in an attractive colonial style. Hotel Coffee Valley, nestled in the moors high up in the Western Ghats, is located at 3500 feet above the sea level. The hotel is located in exotic surroundings like mountain backdrop, lush green coffee plantation, unspoiled wilderness, gushing streams, surging waterfalls and breath-taking sunsets. Even the air around the resort is unique, perfumed with the enticing scents of coffee, pepper, cardamom and jungle flowers. Coffee Valley Coorg offers 20 rooms in 2 types of accommodation - the Estate Villas and The Palace. 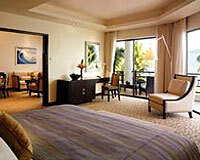 The rooms are categorized into 3 categories the Deluxe Rooms, Estate Rooms and Palace Rooms. Hotel Coffee Valley Coorg has a multi cuisine restaurant serving mouth-watering local delicacies.